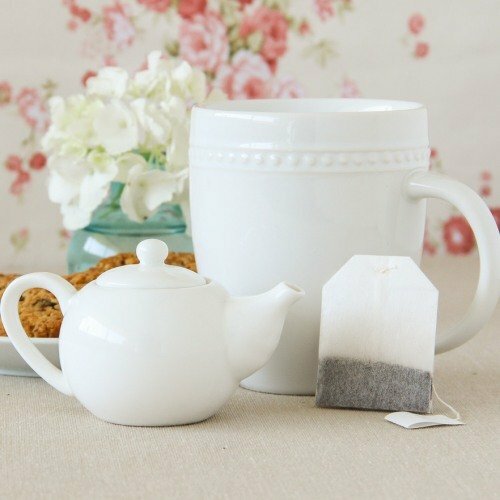 Get your teapot ready and your spices at hand, it’s time to brew a fine Chai Tea recipe! Chai tea, also known as masala chai, offers you a completely different tea experience. It is mostly made with black tea leaves, steeped in milk, along with wonderful spices and sweeteners. The spices may vary a little, according to region and taste, but the main ones include cinnamon, cardamom, cloves, pepper and ginger. Can you imagine the aroma that will be coming from your teapot and how every note will just be breathtaking? Well, you don’t have to imagine it anymore! With this Chai tea recipe, you will soon be delighting yourself with a nice of cup of this peculiar Indian tea blend with hardly any fuss at all. This tea blend has become a part of the Indian culture and it has spread around the world. If you visit India you will certainly be offered a cup of masala chai. Each household has its own chai tea recipe. Each one claims to be the best and the most tasteful, but every masala chai recipe comes from the same basic core. Nowadays, you can even have a taste of chai tea at coffee shops, tea houses or even in your own home! The world of Chai tea is everywhere, just waiting to be discovered by you. 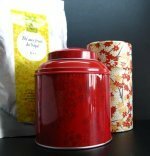 The main base of this tea is black tea leaves, such as those found in Assam tea or Darjeeling tea, which are powerful teas that blend well with strong spices. However, it is not uncommon to use Gunpowder tea, a Chinese green tea, which offers a lighter taste, making it a better choice if you are a bit sensitive to caffeine in tea. Are you ready? Take a look at all the ingredients you need to make this Indian blend and then let’s find out how to make Chai tea. Should you go with honey or sugar? Well, the choice is yours, but if you are considering the health benefits, then sugar is sweet of course, but honey is a natural sweetener and it is much healthier. The health benefits of honey are immense and the taste of it in your chai tea recipe will be over the top. You won’t regret it! Start by crushing the cloves, cardamom and cinnamon in a mortar or coffee grinder and then add the ginger to your recipe for chai tea. Mix all the spices quickly. You will immediately sense the incredible aroma and bright colours in your spice mix. Now get your pot ready and bring a cup of water to boil. Add the loose tea leaves or tea bags and then the spices, as well. Allow it all to boil for 5 minutes. Here’s a tip: If possible, choose loose tea leaves over tea bags, as this will allow you to appreciate the true flavour of this tea and all the health benefits it has to offer you. Assam tea is the best choice when it comes to making chai tea. It’s time to add your milk. Bring the blend again to a boil and then add the sweetener. Allow the sweetened milk to simmer for 5 minutes more. Here’s another tip: If you have lactose intolerance you may try almond milk, soy milk or rice milk. The important thing is that you check your options and enjoy this amazing beverage. Have you smelled the fragrant aroma coming from your pot? It’s almost ready. The final step is to filter the tea and serve it hot. Feel free to pour some ice cubs into your beverage, if you wish to try ice chai tea. However, if you are tasting chai tea for the first time, then drink it hot, as making iced tea requires a stronger blend and you should adapt the strength of your tea according to your taste. There will be times when you just don’t have the time to prepare your chai tea from scratch so it’s nice to know there are other options available, isn’t it? You can now purchase liquid chai concentrates, tea bags, pre-packaged spice blends or instant chai tea powdered form, which are extremely practical, especially if you are in a rush. Just dilute that sweetened spiced tea base with milk and hot water and you have your tea ready! You can get creative, be original and improve the taste of your instant chai tea recipe. The wonderful thing about this and many other chai tea recipes that exist out there is that they leave a lot of room for your imagination. You will find recipes which add more spices, such as Chinese star anise, fennel, nutmeg, vanilla, coriander and chocolate. In the end, what you add to the chai tea recipe above is really up to you. Don’t be afraid to experiment and try everything! Why not create your own recipe for chai tea? Get your Tea Started Today! Now that the world of Indian tea has come to you, why not make things a little more interesting and prepare some afternoon tea recipes for you? 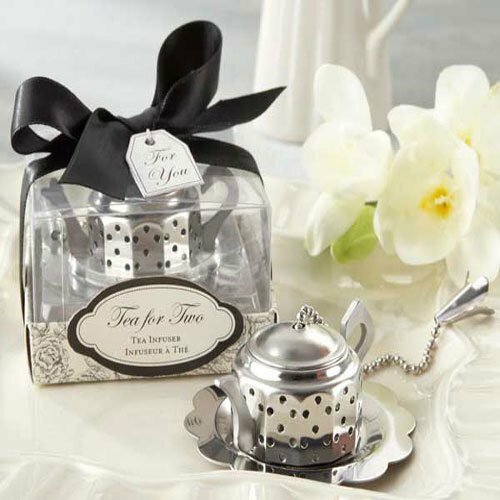 Learn all about how the British had a hand in the story of this wonderful tea in the chai tea page and then sit down for some tea sandwiches and scones as if taking part in a fine traditional British five o’clock tea. The world of Chai tea is sweet, strong and healthy, so what are you waiting for to discover the pleasures and benefits of chai tea? This may just be the right tea for you.